Bacteria are becoming more resistant and only a few new types of antibiotic have been introduced in recent decades. Humanity could once again suffer millions of deaths each year from infectious diseases, warn Lars Adaktusson and Magnus Oscarsson. Lars Adaktusson MEP (EPP) and Magnus Oscarsson are Swedish MPs who represent the Christian Democrats at national level. Moreover, the most advanced surgeries will be made impossible due to the increased risk of infection. The resistant bacteria are rapidly closing in on the drug developers. At present, resistant bacteria kill at least 700,000 people each year. The reason for the increase in antibiotic resistance among bacteria is the large amount of antibiotics treatment of humans and animals in the modern world. Two thirds of all antibiotic drugs used today are given to animals. Therefore, it is primarily in the livestock industry that we can find the potential for reducing the use of antibiotics. In Sweden, livestock farmers use considerably less antibiotics than in other countries; the EU average for antibiotics per live animal is roughly 14 times higher. This is achieved due to the high Swedish standards in animal protection that result in better animal health and thus in lower rates of sickness amongst the livestock. We are grateful for the Swedish farmers’ commitment to creating good conditions for their animals. The example by the Swedish livestock farmers shows that the European farmers could do much more to reduce the use of antibiotics. The EU has acted on the matter, but it’s not enough and it’s taking too long. Since 2006, European Union law prohibits the use of antibiotics for the purpose of increased growth of animals; a rule not always adhered to. During 2016, the European Parliament processed proposals from the Commission on regulations for medicated feed and veterinary medicinal products. One critical issue is the preventive group treatment of livestock by antimicrobial agents. Even after the amendments from the Parliament, it will still be possible to administer the medicines to a whole stock of non-sick animals for preventive purpose, as long as it is not done routinely. It will also still be possible to provide bad and unhealthy living conditions for the animals, resulting in repeated outbreaks of diseases in the stock which will require group treatment with antibiotics. In effect, this might be equivalent to routine group treatment. We would therefore like to call on the Council to make a clear statement that preventive group treatment should be forbidden, and we hope that this policy will prevail in the trilogue. It is also insufficient that the proposal does not address the fact that veterinarians in many member states can benefit financially by prescribing antibiotic medicines. On a global level, the situation is even worse. Between 2010 and 2030, the use of antibiotics in livestock farming is expected to increase by 67%. China is expected to generate the largest increase. Other countries with large projected increases are the Unites States, Brazil, India and Mexico. In September 2016, a high-level summit was held at the United Nations in New York. The leaders agreed to a declaration on antimicrobial resistance, which, among other things, calls for national action plans and regional initiatives. Leaders at the UN meeting called on WHO, FAO and the World Organisation for Animal Health (OIE), in collaboration with development banks such as the World Bank and other relevant stakeholders, to coordinate their planning and actions and to brief the UN General Assembly in September 2018. The WHO also adopted a global action plan on antimicrobial resistance in May 2015. This is obviously important, but in our opinion, the international community should do much more and more rapidly. We would like substantial quantitative commitments and a more radical challenge to the livestock sector. The threat is severe. 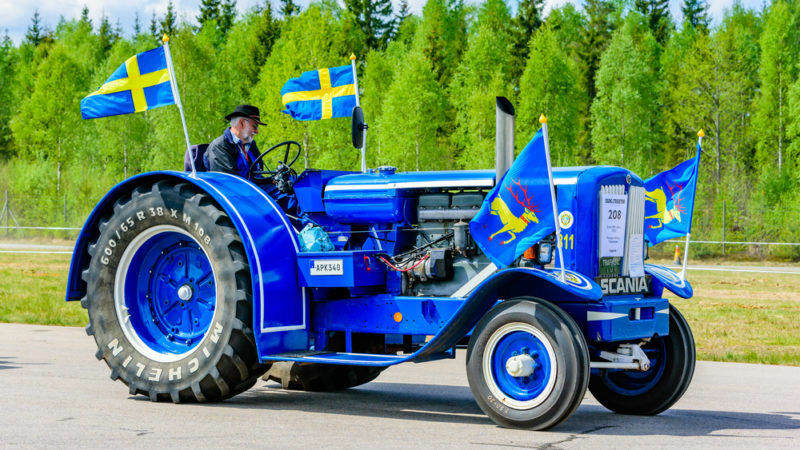 Swedish farmers have shown that there are solutions. European and international politicians must now act responsibly. We propose that negotiations are held immediately at the highest level in order to craft a global agreement about quantitative national reductions in antimicrobial use in meat production. These quotas should decrease year by year, in contrast to the otherwise expected increase in antimicrobial use. We also propose an international scientific body, similar to the UN climate panel (IPCC), to be created with the task of presenting the most reliable foundation for deciding what levels of antimicrobial use can be considered in keeping the amount of resistant bacteria at an acceptable level. There needs to be a functional system for monitoring and for statistical samplings of the total use of antimicrobial drugs. Europe should – as in numerous other concerns of common interest to humanity – take the initiative. This, of course, requires that we do our homework. Therefore, we need a distinct EU regulation for reduced antimicrobial use in farming and for strengthened animal welfare.